It's been an exciting spring here at Venture for America, from new Fellows and VFA team members, to our upcoming Summer Celebration and a VFA book in the works. Read on to learn more! Tickets are now on sale for the 2nd Annual Venture for America Summer Celebration! On May 30th, we will gather leaders in tech, media, finance, and business, including key note speakers Jeff Weiner, CEO of LinkedIn, and Arianna Huffington of Huffington Post, to celebrate VFA's newest class of Fellows. General Admission tickets go up in price from $250 to $300 on May 1st, so get your tickets today! 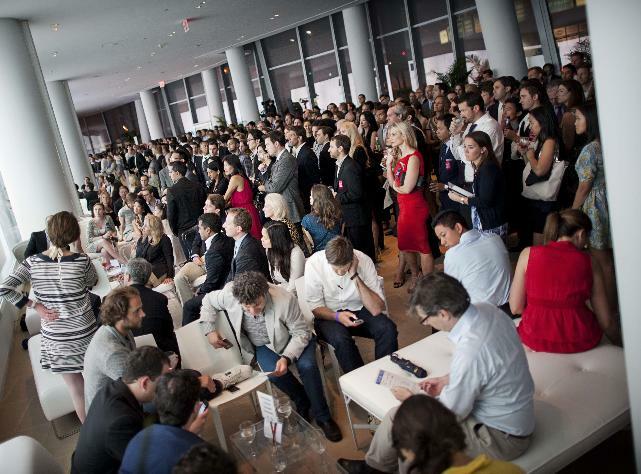 Event sponsors include American Express OPEN Forum, Huffington Post, Beam, and Bonobos, among others. We're thrilled to announce that we have confirmed the Class of 2013, and are set to add 70+ aspiring entrepreneurs to our 40 Fellows who are already living and working in Detroit, New Orleans, Providence, Cincinnati, and Las Vegas. This inspiring group of young people includes engineers from Johns Hopkins and UPenn, a physics major from Middlebury College who started a bike-room to produce power on campus, a Duke varsity football player who started his own textbook business, a former U.S. Marine, and former employees of Goldman Sachs, Deloitte, and Ernst & Young. We look forward to sending Fellows to all five current VFA cities, along with three new cities: Baltimore, Cleveland, and Philadelphia. It's an impressive group of college seniors and recent grads, and we are excited to see the amazing work these young people undertake on the ground at startups and early-stage companies in cities that need them. 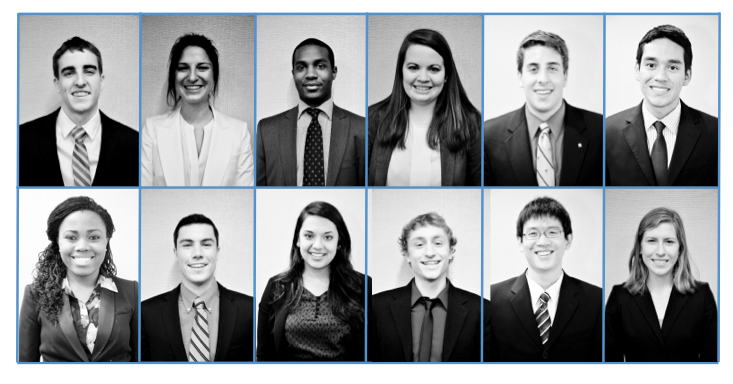 To see the full list of new additions to VFA's Class of 2013, visit ventureforamerica.org/2013fellows. Venture for America is hiring! We currently have three opportunities available: Recruitment Associate, Director of Development, and Director of Programs. If you or someone you know believes in Venture for America's mission and is looking to join an innovative and rapidly expanding national organization with a vibrant, fun company culture, visit our Careers Page for more information. If you're still in school and are looking for ways to get involved with Venture for America before graduating, we are also looking for Campus Ambassadors at colleges and universities around the country. Get the details here: Become a Campus Ambassador. In other exciting news, Harper Collins will be publishing a book, 'Smart People Should Build Things' by VFA's founder Andrew Yang in January 2014! As the publication date nears, we'll be releasing sneak peaks of the book, which describes the inspiration for VFA and tells the story of our founding. Recently, 2012 Fellow Max Nussenbaum wrote an article for the Huffington Post about his time in Detroit so far working for the startup "Are you a human?" and the opportunities he sees living in a non-traditional city. Check out Max's article "Move Where You Can Matter" to get a first-hand account of how becoming a VFA Fellow can change the perspective and trajectory of recent grads from across the country. "Growing up in low-income neighborhood in Seattle, Washington, I saw a run-down community turn into a vibrant business district in the course of a decade. This gradual but steady transformation has been the result of one main catalyst: entrepreneurs. If it weren’t for these people who were willing to take a chance on my neighborhood to start their business, my community would still be plagued by the crime and violence that characterized the area in my childhood. Because of this experience, I realized that I wanted to start a business someday that would benefit my local community. As someone who was interested in entrepreneurship, I always felt that I needed to work in consulting out of college. A few years of helping out large corporations would allow me to develop the skills necessary to start my own business someday. I thought that I needed to ‘make it’ in the corporate world, and then I could turn towards my local community in Seattle. I realize now, however, that with a program like Venture for America, I can make a positive impact right out of college. With Venture for America, I feel that I will be able to build the network that I will need to start my own business, or work in an early stage company. I believe that I will be able to gain skills in sales, marketing and project management. As someone with a finance and consulting background, I would also gain value from learning more about entrepreneurial finance, and the financial strains small businesses face. Finally, I want a first-hand perspective on why an early stage company is or is not successful. With Venture for America, I will develop the skills that will someday allow me to start a company that benefits immigrant communities in Seattle." We’re excited to give Charlie and dozens of other young entrepreneurs like him the opportunity to get the first hand experience they need to one day go on to build businesses and create jobs in places where they can truly make an impact. We would like to extend a sincere thank you to everyone who has been with us since the beginning and joined along the way. To donate and help support our newest class of Fellows, visit ventureforamerica.org/donate. We're looking forward to an exciting year, and don't forget to get your tickets to the upcoming Summer Celebration before it's too late! This entry was posted in VFA News. Bookmark the permalink.